Fall is coming. Green tomatoes remain on your plants. Don’t panic! Try these tips for ripening tomatoes on vines. Reduce watering. If tomatoes have reached full or nearly full size, cut back on watering to encourage ripening. Keep the plant dry. Late season is the perfect time for late blight to destroy fruit on the vine. Prevent it by watering the soil, not the plants. Tie long branches to tomato cage or add an extra stake to keep plants from trailing on the ground, making them susceptible to diseases. Give the plant a trim. Remove the plant’s lower leaves. That will allow the plant to put more of its energy into the fruit. Pinch off flowers. New blossoms won’t have time to set fruit before frost. By removing them, you encourage the plant to focus with what’s already on the vine. Cut away diseased leaves. Check your plant regularly for yellowed, moldy, or spotted leaves. Remove as many as possible. 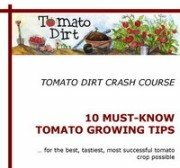 You’ll help the plant invest its energy in ripening tomatoes rather than fighting off disease. Pick small fruit. Pinch off immature tomatoes to let the plant invest its energy in the larger fruit. Pick excess fruit. If you have a heavy crop still on the vine with just a few weeks before the first expected frost, pick a few of the just-ripening tomatoes (mature green, turning, or pink) to allow the rest to ripen on the vine. Bring the picked tomatoes indoors to finish ripening. Cover plants at night. As temperatures dip, cover your tomato patch with clear plastic overnight to keep them warm and keep fruit ripening. Check plant daily. 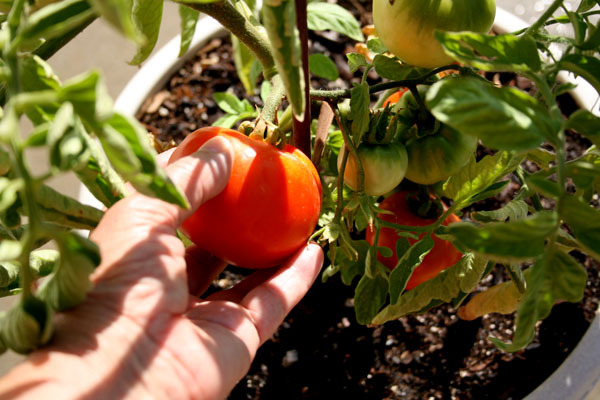 Pick ripening tomatoes as soon as they start to show some color. You’ll help the rest of the tomatoes on the vine ripen faster.